What meal is both cheap AND interactive? Tacos of course. It is always so much fun to make a taco exactly how you like it (EXTRA sour cream, cheese and hot sauce pour moi…), and since the ingredients are so affordable, you can host a bunch of friends at once on a budget. Tacos are also a perfect ice breaker, they are quite a messy food, and hence will put all of your guests at ease almost instantly — who can keep a straight face when your neighbor has taco sauce running down their chin? So, here is my take on a very basic taco night recipe. 1/2 cup water – FREE! TOTAL: $28.79 — this will serve 6 people if you make a side of Spanish rice or something similar. About $5/pp with leftover ingredients. In fact, it will probably end up being a lot cheaper, as most of the ingredients you probably have kicking around already. 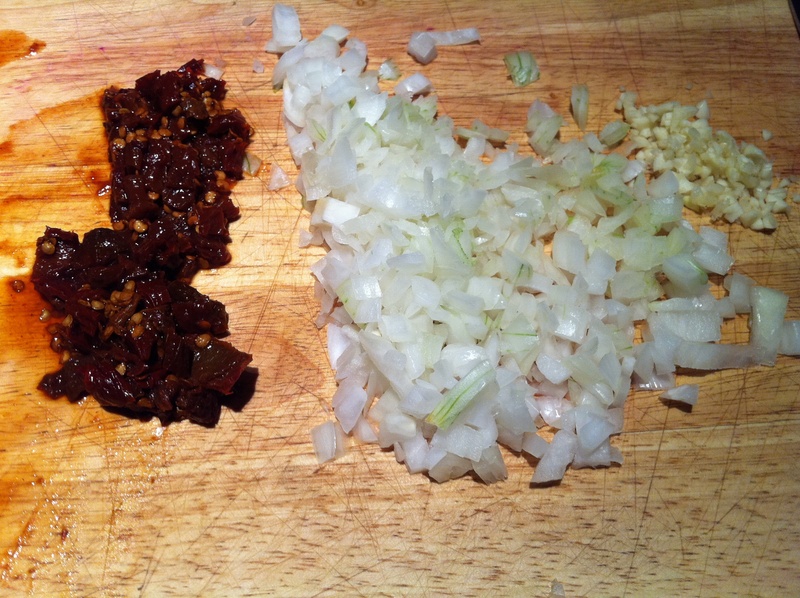 First, chop the onion, garlic and chipotles. In a pan over medium-high heat brown the meat for about three minutes, then add the onions and garlic and cook for about five more minutes. 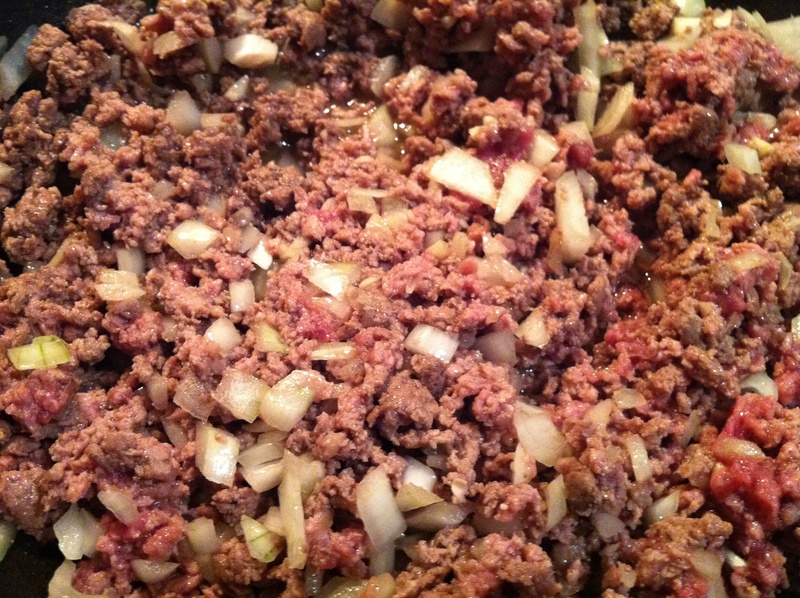 Add the chile powder, chipotles and tomato sauce, and cook for another five minutes. 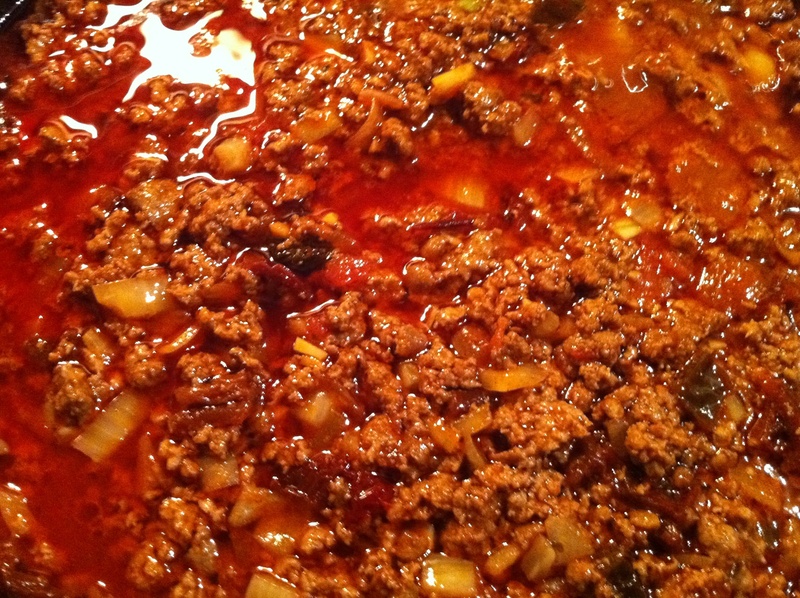 Add the water, turn the heat to medium low, and simmer until you are ready to serve. 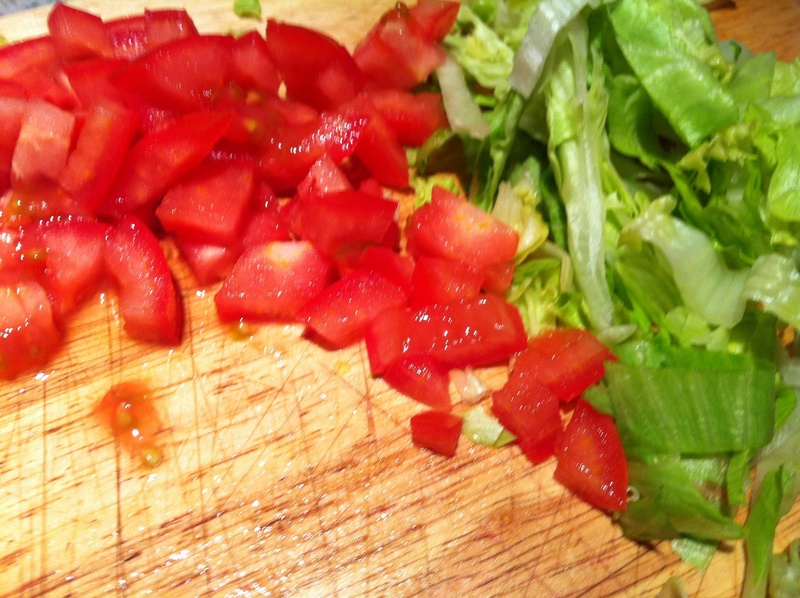 Chop the tomatoes and finely slice the lettuce and place in serving bowls. Put the shredded cheese in another bowl, the sour cream in another. Leave the hot sauce out for whoever likes it. 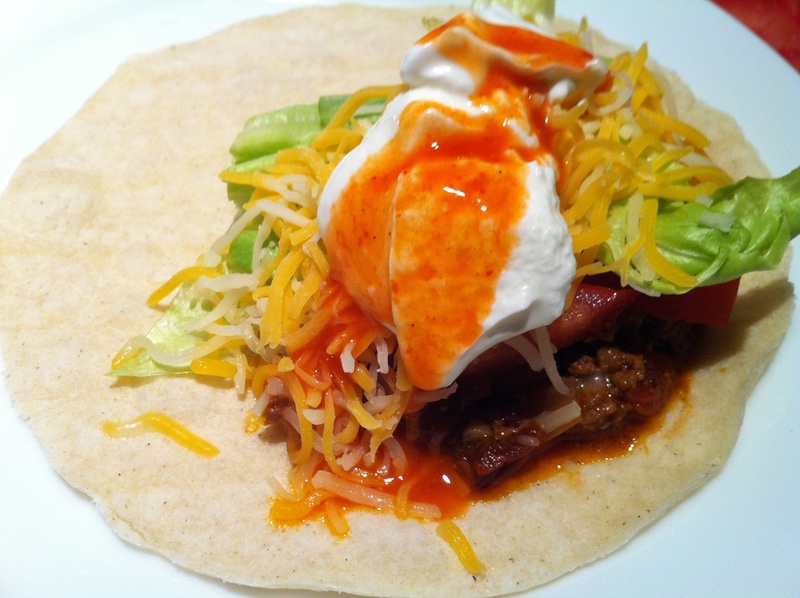 This entry was posted in Cheap Eats and tagged adobo, beef, cheese, chipotle, dinner, garlic, lettuce, onion, sirloin, sour cream, spicy, taco, taco sauce, tomato. Bookmark the permalink.